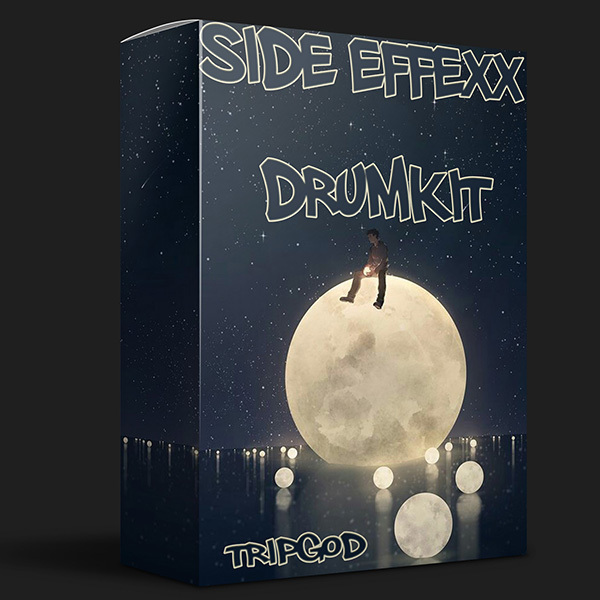 TRIPGOD - Side EffexX (DRUMKIT). THE TRIPGOD is back & blessing the producer community with a new DRUM KIT. Experimenting with different styles have me experimenting with different modified instruments. i coupled my drumkit up with a few samples of loop, midi & stem kits to come. A quick tip would be to use these sounds with my EXPANSION KITs or WAV LOOPs.